Seeing some red in the sink after brushing or flossing may raise an eyebrow or two. It may seem like your gums are bleeding for no reason. But before you venture down the rabbit hole of what-ifs, consider these common causes of bleeding gums. Vigorous Toothbrushing: The extra oomph you’ve put into your brushing since your most recent visit may be the first place to look. Instead of brushing with the vigor you’d use while scrubbing a stack of plates after Thanksgiving, aim for gentle and patient: place the bristles along your gums at a 45-degree angle, and gently brush two to three teeth at a time. Inadequate or Forceful Flossing: Changing your flossing routine can also cause your gums to bleed. If you’ve returned to regular flossing after a little hiatus or if you’re flossing more forcefully than usual, bleeding is common. Remember to floss daily and with ease. Medication: Some over-the-counter medications, including aspirin, as well as prescription drugs, like blood thinners, may lead to gum bleeding. Be sure to let us know which medications you’re taking, and keep us in the loop if you and your healthcare provider change your medications. Vitamin Deficiency: A deficiency in vitamins is a common factor in gum bleeding. Vitamin A helps form your teeth and protects your mouth’s membranes; vitamin C helps maintain the health of your teeth and gums; and vitamin K ensures your blood clots. If you’ve upped your hygiene game but still spot blood after brushing, try adding more vitamin-rich foods to your diet. 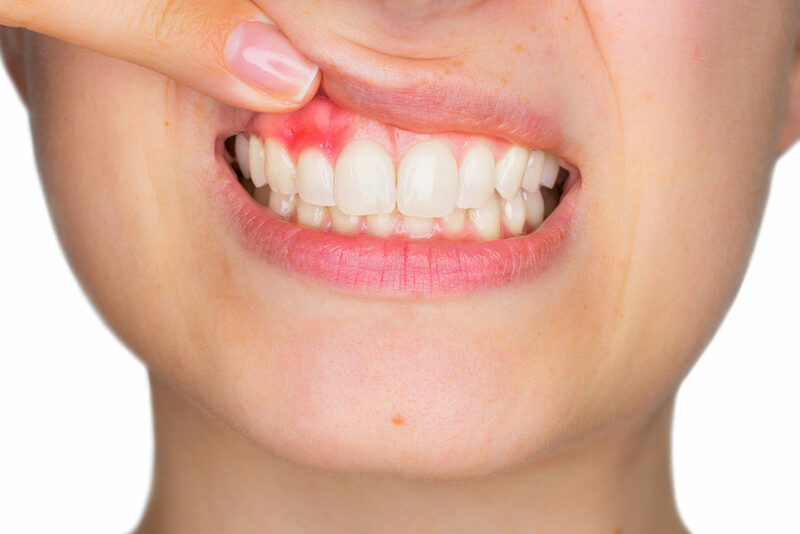 Gingivitis and Periodontitis: Gum bleeding, as well as swelling and tenderness, is a common symptom of gingivitis and periodontitis. Often due to poor oral hygiene, both gingivitis and the more-serious periodontitis do require treatment. If you do make these suggested changes to your oral health routine but the bleeding doesn’t improve within 10 days, it’s best to come in to Belvedere Family Dentistry for a visit. Give us a call today at 704-927-5499 or schedule your next appointment online now! previousShould you buy an electric toothbrush?